If you are looking for French and Japanese fusion food, you go to Narisawa. If you are looking for pure unabashed traditional Japanese food, you go to RyuGin in Tokyo. Chef Seiji Yamamoto makes his magic in this small restaurant and what you get is fresh traditional Japanese ingredients that transform into pearls of delectable yums. This restaurant ranks #2 in Japan and #31 in the world according to S. Pellegrino's the World's 50 best restaurants. But honestly all the restaurants ranked in the top 100 are pretty much on the same level. I can't say Le Bernardin (#24) is better than French Laundry (#85) by a mile. If anything, I prefer French Laundry to Le Bernardin. It's a personal taste. 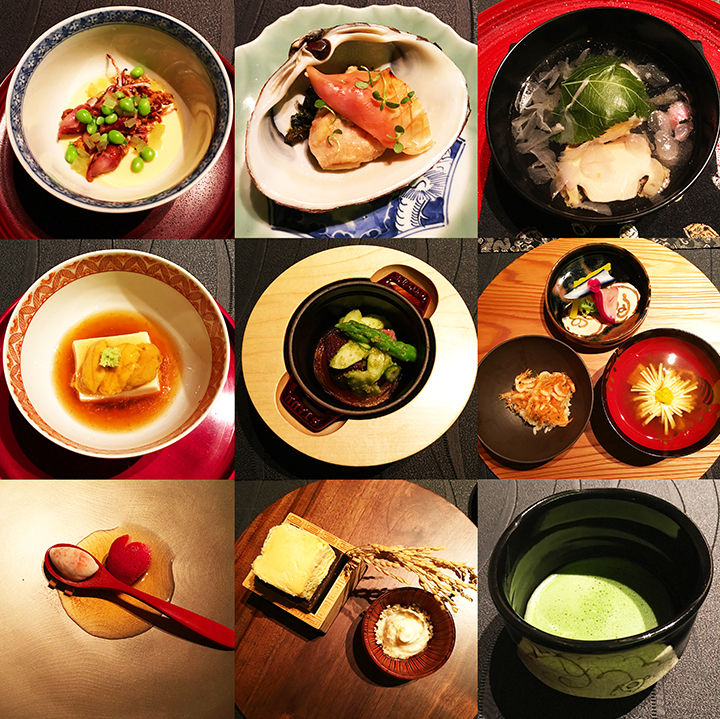 One thing is for sure though, I never had a better pure Japanese meal than at RyuGin. What he created for me was just eatable Japanese art. If you get a chance to go to Tokyo, do not hesitate and make a reservation there. Your stomach will thank you! BTW, if you love uni, this is the place to get fresh uni. It's so fresh and tasty here that any other uni you have anywhere else in the world will not be able to come close.